This means that OLED screens are thinner, lighter, more efficient and offer better performance and color quality than other existing technologies. Each pixel can be shut off, providing absolute black and amazing contrast ratio. 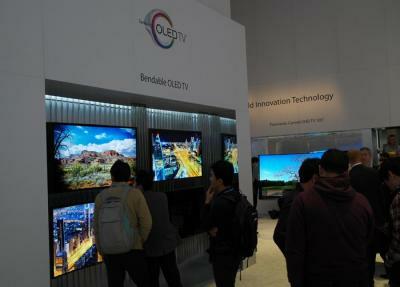 OLED televisions are the newest technology in the TV world. They deliver the best picture quality available today, outdoing LED LCD. But on top of being thinner, lighter and more efficient than other TVs, they can also boast a curved form. Curved OLED TVs hold unique advantages. It can enhance the viewer’s immersive experience with its curved form, as the screen "wraps around”. The curved screen has a curved trajectory similar to a person’s ‘Horopter Line’ allowing the maintenance of a constant focus. 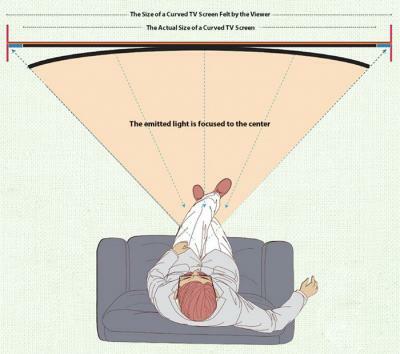 Another advantage of a curved TV is that the distance from the viewer is constant (unlike a flat TV in which the middle is closer than the edges). This means that in a flat TV there's a subtle image and color distortion which does not occur in a curved panel. The larger the flat screen and the closer the distance from the screen, the distortion becomes more noticeable. A curved screen also feels larger and brighter compared to a flat TV. This, again, enhances the viewing experience. 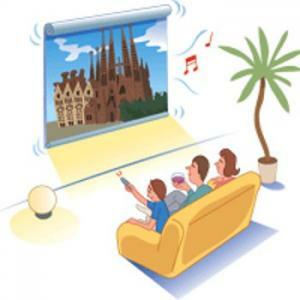 It is said that a viewer will feel that the size of a curved TV screen is larger than its actual size. Curved OLED TV also feels brighter because the light coming from the screen is focused on the center of the screen. One final, and crucial advantage, is reduced reflections. The curved display eliminates reflections from ambient lighting on the sides, and it also reduces specular (mirror) reflections. Nonetheless, voices arise arguing the disadvantages of curved OLED TVs: there is a claim that in order to get the benefit of a wraparound image, you need to be sitting in a pretty specific place. That sweet spot can be very small, possibly fitting only one viewer. Other faults arguably include limitation of viewing angles, elevated prices and, of course, looking less attractive mounted on a wall. Curved TV launched at around 2013, but quickly fell out of fashion - and today very little curved TVs are sold, if at all. When people actually considered buying curved TVs, flexible OLED makers started to discuss the option of building bendable OLED TVs - a novel concept that allows a shift from flat to curved screen and vice versa at the press of a button. This enables viewers to enjoy both the flat and curved experiences in one set, encompassing both OLED’s superior image quality and the immersive experience of a curved TV. It can be neatly attached to a wall in its flat form, but curved at will to grant the ultimate viewing experience. While bendable TVs are quite cool, following the falling out of grace of curved TVs at around 2015, TV makers stopped discussing and developing bendable TVs. In January 2014, LG unveiled a bendable 77’’ OLED TV, that can change from flat to curved (using a "combination of water and motors" - according to company statements). When at full curve, the curve is eight centimeters in total. LG said it will release a bendable OLED TV in 2015 - but this never materialized and LG evidently stopped developing the technology. In 2014 Samsung also showcased a 55’’ bendable OLED TV prototype, and also an 85’’ bendable model that might be an OLED. Samsung pulled out of the OLED TV market later, though (it is set to return with its QD-OLED TV technology in 2019 - but it is highly unlikely it will ever offer a bendable TV). While bendable OLED TVs seem to be out of focus at this stage, a more promising technology is rollable OLED TVs. In 2017 LG Display demonstrated a 77" flexible and transparent OLED display for the first time, and in early 2019 LG Electronics announced the Signature 65" OLED TV R - and will release this TV commercially by the end of the 2019. 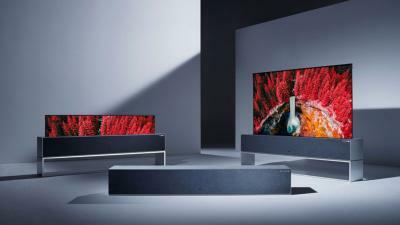 LG Electronics is bringing its new OLED TV lineup to CES this week, and LG Display already said it will demonstrate a 88-inch 8K OLED panel at the trade show. However the most exciting display will probably be LGD's newest prototype - a 65" rollable OLED TV that comes with a base that holds the TV when it is rolled away. This is a prototype display, and it's likely that LGD has no immediate plans to actually release such a display. Last year LGD did say it plans to bring rollable OLED TVs to market by 2020. 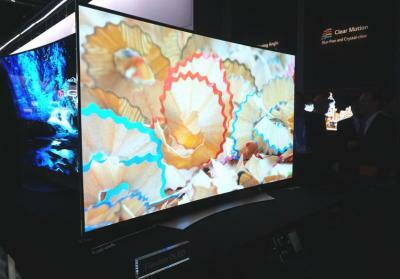 A few days ago LG launched the world's first bendable TV, the 77" EG9900 OLED TV. According to Trusted Reports, LG aims to release the EG9900 in the "second half of 2015". LG did not disclose the price, but according to a Danish site, the TV will cost around $50,000 in Denmark (which will be around $38,500 without the 25% VAT). 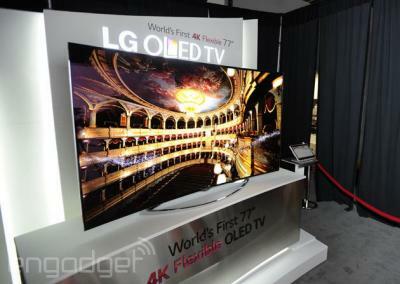 Last week LG unveiled nine new OLED TVs, but did not release any pricing information or release dates. 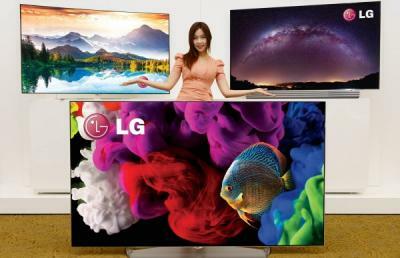 Now a Danish web site revealed the prices of five of those TVs, and reportedly these prices originated from LG salesperson. Here is the full price list. Note that Danish prices include a 25% VAT tax, and are usually higher than in the US. And also these aren't official of course. LG Electronics announced six new OLED TVs - including some curved TVs, some flat ones - and also the world's first bendable TV. All of LG's new TVs use 4K resolution. LG Display says that LG is committed to the "superior qualities of OLED" and sees 2015 as the breakout year for OLED TVs. So the most interesting TV is probably the EG9900, which features a 77" 4K OLED panel that can be switched from a flat state to a curved one. It uses a newly developed anti-glare filter and is powered by a ten-core processor (!). LG did not disclose the price and release date of this TV. But it'll probably be very expensive as the company's fixed curved 77" 4K OLED was priced at $29,999 in 2014. Some people like their TVs flat, and some like them curved. A curved TV has several image quality advantages, but they look less nice mounted on your wall. A bendable TV offers the best of both worlds - you can hang it flat on the wall, and curve it when you want. Don't miss our new article on bendable OLED TVs - which according to LG will arrive on the market next year. As you can see, LG already produces flexible OLEDs for phones and wearable devices. 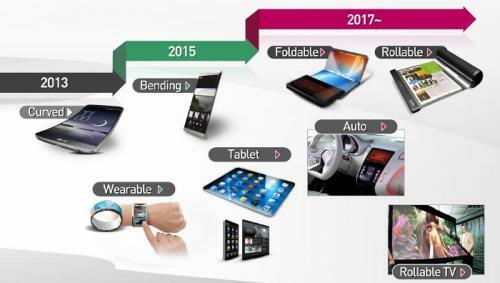 In 2015-2016 the company sees flexible OLEDs being adopted in tablets and bendable phones. From 2017, LGD sees flexible OLEDs being used to produce foldable and rollable devices. In January 2014, LG unveiled a bendable 77" 4K OLED - a TV that can change from flat to curved (using a "combination of water and motors" - whatever that means). When at full curve, the curve is eight centimeters in total. An LG official now says that LG plans to release such a bendable OLED TV in 2015. We do not know what will be the size of their first bendable TV, but it sure is going to be expensive. But this is actually a neat idea because it means you can wall-mount the TV on the wall and keep it flat, and only curve it when you want to watch it and when it makes sense. A 2015 release is actually in line with LG's original plan in early 2014. Back in June 2012 LG was awarded with Korea's ambitious Future Flagship Program that aims to develop 60" flexible transparent UHD OLED displays by 2017. This project raised a few eyebrows and was never mentioned again. Now we hear that LG Display is still developing the technology, and still says that the want to be ready with a real product by the end of 2017. LGD is currently developing a 17" transparent flexible OLED and they hope to ready a prototype by the end of 2014. If this is successful, LGD will move on to the next stage - the 60" UHD panel. This panel will feature 40% transmittance and a curvature radius of 10 cm. This is just a prototype, but LG actually plan to ship this bendable TV to the US in late 2014 or early 2015. Samsung has their own bendable OLED TV at CES, by the way. Updated: it turns out that the 85" bendable TV prototype is an LCD, but Samsung indeed also shows smaller (55") bendable OLEDs. It actually seems to me that those OLED TVs in the photo above aren't so big - it seems to be around 55" in size and not 85". So perhaps these are different prototype, I'm not sure, but now it seems likely that the 85" prototype bendable TV is also an OLED.